With a preliminary injunction successfully placed upon imports and sales of Samsung’s Galaxy Tab 10.1 tablet in Europe, Apple has also filed a complaint against Motorola and a German company called JAY-tech either before or at the same time as the Samsung suit, accusing the vendors of copying its iPad design, says FOSSpatents’ Florian Mueller. 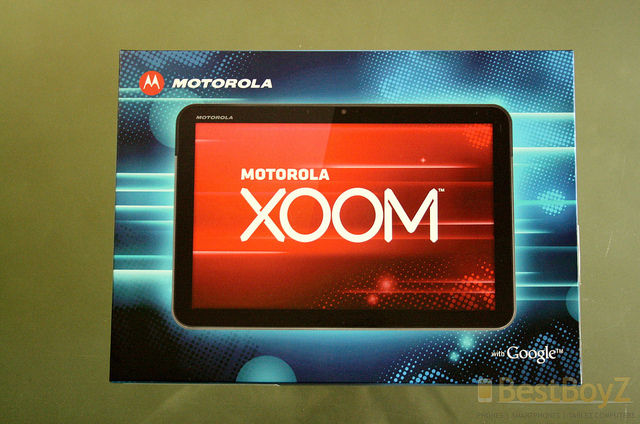 Apple is said to have filed the complaint with the District Court of Dusseldorf (the same court where it filed the Samsung lawsuit) over the design of the Motorola XOOM but the document does not say whether the Cupertino-based company had included a request for a preliminary injunction over imports and sales in Germany, or across Europe. JAY-tech has however been served a preliminary injunction, with Mueller adding that according to Apple’s representation, has already been upheld “in its entirety” after a hearing. It is assumed that the company was using the Android operating system. In the U.S., an ITC hearing was due later this month on Motorola’s complaint against Apple, but due to the retirement of Chief Administrative Law Judge Paul Luckern it was postponed. A new date hasn’t been set yet because the ITC firstly needs to assign the case to a new judge. Apple also has an ITC complaint going against Motorola. Apple looks to be protecting its intellectual property where it can, asserting its patents against Android device makers. Mueller believes that Apple may have been aware of the infringements “for too long” to file for a preliminary injunction, which is why it may not have been included in Apple’s representations.